It is the New Year! 2018 has arrived and we here at Urban Smiles could not be happier! Why you ask? Well because we have a whole new year to help as many people as possible achieve their greatest smile they possibly can! Here are some tips to wear that beautiful smile BEYOND even the dentist chair! Regardless of how your 2017 was, this is a NEW year, anytime we take old baggage around with us, whether we see it as bad or good even, is just less room for us to grow as individuals! This is a fresh season with possibility to get outside of the “normal” things, and to experiment with incredible new experiences! What makes you smile? Maybe this year is the year you can find another avenue of what you LOVE to do! It is strange that we step back so abruptly from all those dreams we had when we were young isn’t it? Well it by no means that we cannot bring those back to the surface! Try to take a step in 2018 to bring a new smile to your face! Find your friends! Interaction with other people has been proven to bring more smiles to your life. While we all know of difficult relationships, there are definitely those we both love and cherish! Focus 2018 on making these stronger! And finally, and yes this is a practical one, COME SEE US! We really want to help that smile stay in it’s healthiest form! We know that mentally it is so important to keep your health high, we believe that physically having a healthy smile will only add to your successful 2018! Happy New Year Everyone! Time to recharge the toothbrush! Well it’s that time again! To some yes they say bah humbug, but to others it is a festive time with great food, friends and yes, even family (well we hope that part is true for you anyway…) But you might be thinking, hey what does a dentist have to do with Christmas, well not much, EXCEPT for the fact that dentists too can take a deserved break! Of course a dentist office focus’ on patients, makes sense right? Well we just want to take a few seconds to wish all of the dentists out there a very Merry Christmas as well! It’s time you take a break, recharge, and come back refreshed so you can continue putting smiles on all of your patients faces! Sometimes it is way too easy to forget to take a bit of time to reflect, and relax. 2017 I am sure had both ups and downs, but what did we learn? How did we grow? How can we enter 2018 by putting our best foot forward? Take the time this season! And to all those of us who frequent that dentist, spread some of that holiday cheer and show off that beautiful smile that you AND your dentist keep shining bright! 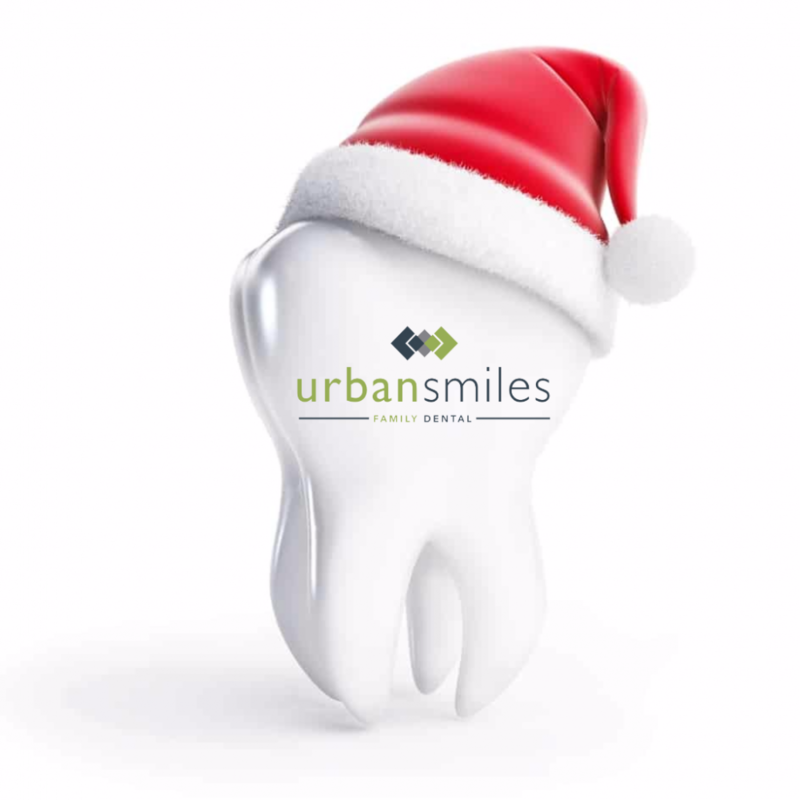 From ALL of us here at Urban Smiles Family Dental here in Edmonton, Alberta, Canada, Have a great Holiday season, and a very happy new year as you ring in 2018! Be Thankful for your REAL smile! People all over the world today are trying to find a way to feel better about themselves. It has actually become big business hasn’t it? Motivational speakers, inspirational movies, social media pages all dedicated to make you feel better about yourself. But what if we told you that you smiling, was all it would take to bring your self esteem higher up on the scale? Think about why you smile. Something funny happened? Sure that’s a common one. But what about if you thought about something good that happened in your life? Imagine the time someone was there for you, helping you out when it was hard. How about thinking about all the things around you in your life that are good. Shelter, food, warmth, I bet that a feeling of thankfulness can change a lot. It seems that the times we are not smiling, are the times we have simply forgotten all the blessings we really do have! Not everyone’s situation is perfect by any stretch of the imagination, however there seems to always be some sort of silver lining, if we are actually willing to look for it! Today take a moment, just a moment, to allow yourself to smile about something great in your lifetime, that smile that comes to you right there, that is one real one that we all want to see! Come show us your smile here at Urban Smiles this holiday season! We would love to see you soon! It is getting SO CLOSE! Most kids are freaking out about that fateful eve of December 25th already dreaming about the wrapping paper, well the toys, it’s the parents that have to deal with the paper usually.. Anyway, while the children anticipate the guy in the red suit, we are anticipating all those smiles in all of those photos!!! Now is the time to get those teeth checked over, cleaned up, and ready for the many family photos and visits from friends over the holidays! It’s always a good time to do this, but just like getting a haircut before a holiday, we believe it is just as important, if not more to get a check up on your teeth! There is something about a confident smile that can set a mood in a room. People like to be around people that are happy! And if you are happy about your smile then there is a good chance you are going to be part of some awesome gatherings this December! Moreso don’t get too worried when something doesn’t go perfect, just keep smiling! 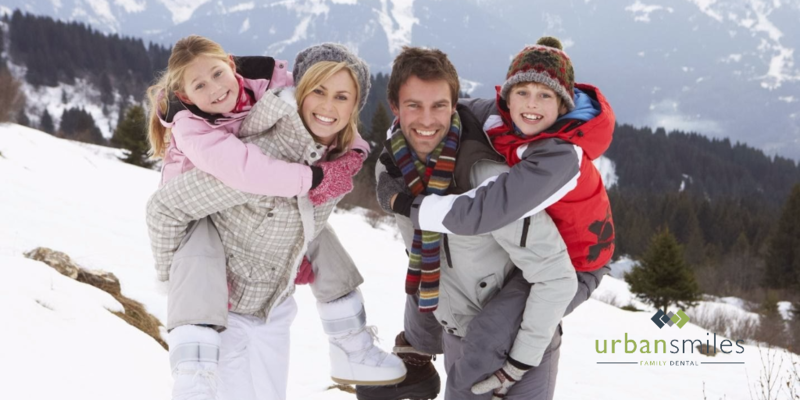 At Urban Smiles Family Dental we will do what we do best in preparing your smile for the Holiday season! Come in and say hi and book your check-up for your whole family! And don’t forget, keep smiling, it can brighten someone’s day! What every Christmas Stocking Needs! Well here we go! Another festive season is fast approaching and the stores are being pillaged for all those stocking stuffers. Well fortunately for all of you dentists have a pretty good idea for all of those (Currently) empty stockings! Yes ok we are going to say fill up everyone’s stocking with a new toothbrush, toothpaste, and floss, BUT WAIT THERE’S MORE! First off the standard teeth cleaning tools are a must because with January 1 coming a lot of people decide to take better care of their teeth at this time, and you just provided them the tools to do so! But what else could go into that red and white sock (we really do have some strange traditions..) instead of the typical mountain of candy? GUM! But not just ANY gum, there are many sugar free non-aspartame options available for gum these days! And if you know a gum chewer maybe you can get them to switch! There are also many teeth healthy choices for candy you can find now aswell, and if there are some extra sweets in there remember, you got them a sweet new toothbrush anyway! Christmas can be an awesome time, but be sure to take care of that smile! 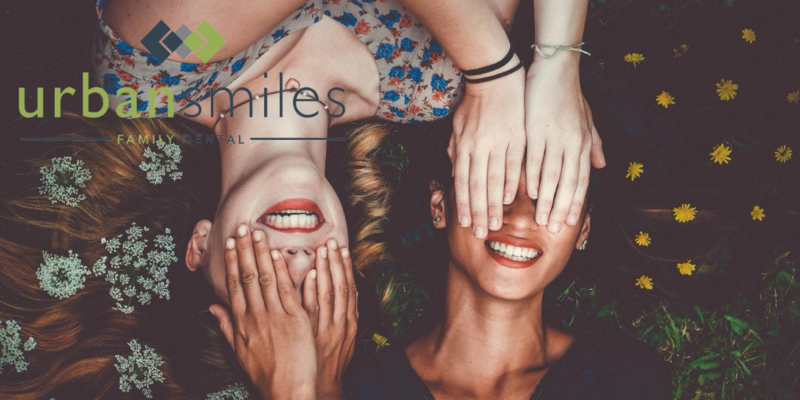 Book your check up here at Urban Smiles Family dental to make sure all those family photos show how YOU take care of one of your greatest assets! Happy Holidays for Happy Teeth! Well it’s that time of year, Holiday season. With Thanksgiving in America, and a short time later Christmas, the amount of feasting that is about to take place will have a bit of an impact on the regular North American. And while a high percentage are worried about their waistlines, maybe it’s time to think about your teeth through this season! Now don’t get us wrong, we want you to enjoy this time to the fullest! But with a few added precautions you can not only take care of your teeth, but also your waistlines! #1 as always is be sure to not overindulge! Easier said than done when grandma’s pumpkin pie hits the table… But try brushing your teeth after you eat that one piece of pie, it might help you think twice about eating something else right away! Eat LOTS of vegetables with the rest of your meal, Fill your plate with an assortment of colorful veggies, full of smile-friendly vitamins and minerals. Red and orange veggies are usually high in vitamin C (good for gums), while leafy green vegetables are good sources of calcium (for strong teeth). And these vegetables actually do help you fill up faster! Finally be sure to drink a lot of water! 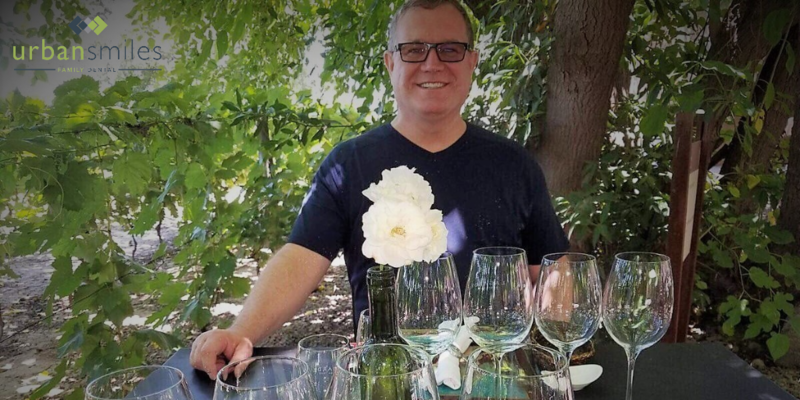 This helps all of our bodies systems, and when drinking wine or other acidic beverages and foods, water will help rinse the mouth and restore a proper environment! 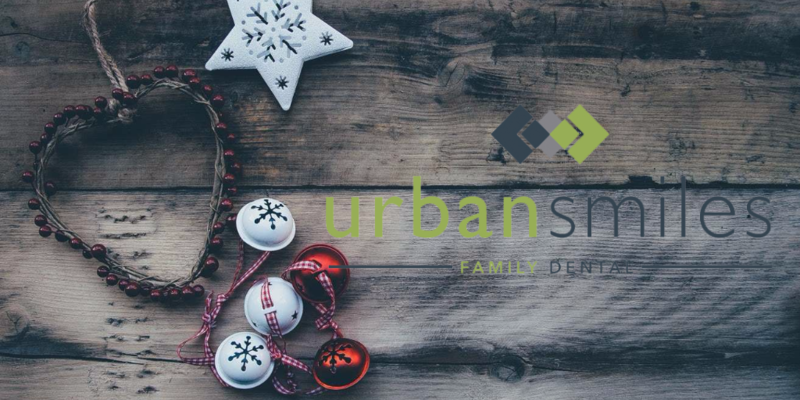 Here at Urban Smiles we want all of you to enjoy this time with family and friends, we also want to see that beautiful smile again, so be sure to book an appointment after, or even during this season, to make sure that smile stays bright!!! 6 reasons why being scared of the dentist is just not necessary. Anyway, we don’t really want to talk about the fear of the dentist, but point to some awesome reasons why seeing a dentist, even for a check-up COULD really help you in other areas of your health too! In fact there are 6 reasons below that should really get rid of the fear of seeing one! Read and learn everyone! A dentist can see early warning signs in your mouth and encourage you to see a General Physician! Can be discovered and treatment provided in clearing up many mouth infections! Oral cancer is the sixth-most common type of cancer diagnosed in the U.S., so you should really see a dentist twice a year especially if one smoke or chews tobacco. Grinding of your teeth is quite common and can be a huge indicator of stress, not only can a dentist provide guards for your teeth, but learning that your stress level is hurting your teeth might be what you need to take a break! Eating disorders are very commonly revealed in how the teeth react to stomach acid, a dentist can detect this. Loosened teeth can be a sign of osteoporosis, a dentist can check on this and refer you to a physician. Seeing a dentist might seem like a chore, we get it, but if ANY of these 6 things are true you and a dentist discovers them for you, you better send him a great Christmas card! Let’s not be scared of the dentist everyone, instead let’s make sure we thank them the next time we see them! 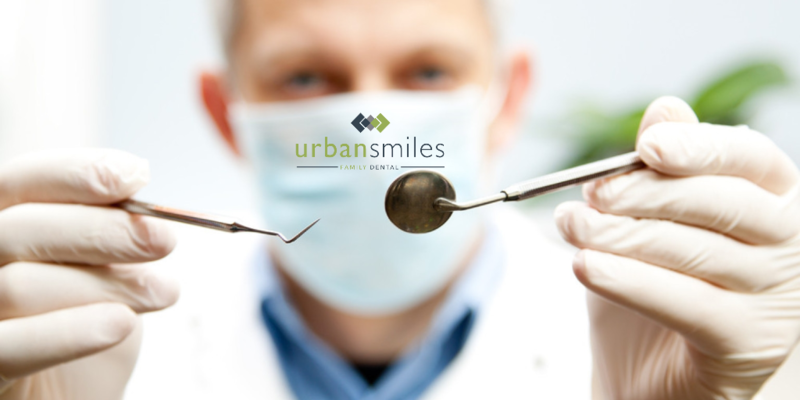 Come let us see you at Urban Smiles Family Dental in Edmonton Alberta!! Seriously what is the deal with dentists!?! There we are in a chair, light in our face, bib on, 5 hoses in your mouth and all of a sudden you hear: “So how is your day going?” The dentist working on you has just asked you a question, AND expects you to answer while his hand is in your mouth! This of course has been a well documented phenomenon among dentists. What is it that propels them to ask us all questions while in our current state of not being able to speak? What kind of game is afoot asking us where is the best place to visit is in Mexico while the suction hose is trying to swallow our tongues? The truth of the matter is, we really have no guess, answers, or ideas as to why this occurs daily to millions of patients around the world, many have tried to discover this answer and failed! The best we can tell after our extensive research of Dr. Rob Andrew at Urban Smiles Family Dental in Edmonton, Alberta is, well, He is just a great guy! Why wouldn’t he ask nice questions!?! Well while the real mystery may never be solved of the questioning dentist, at least we know there is always a good smile, and a friendly conversation going on at Urban Smiles! And hey, maybe your dentist DOES know a great place to stay in Mexico! 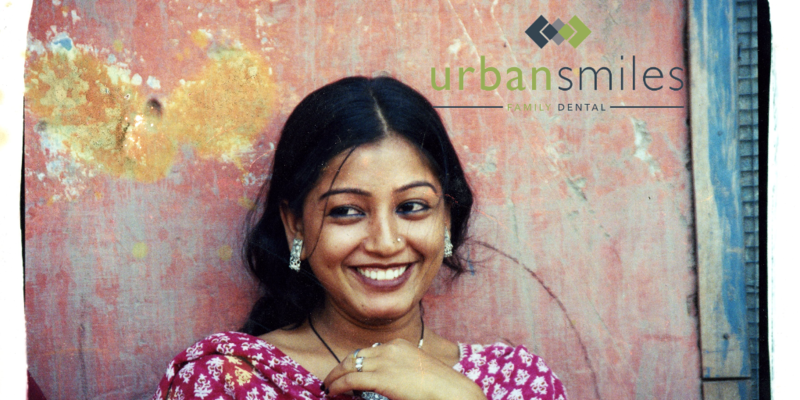 Hope to see your smile real soon at Urban Smiles Family Dental!!! Well the joke goes that Halloween is in fact a dentist’s Christmas… All those kids digging into mountains of candy over the next week or two, with cavities abounding causing the greatest harvest of the year for the dentist. Well guess what, it’s not a joyous time for dentists, it’s a nightmare!!! OK well to save some of the dramatics, maybe we are a little tongue in cheek on this one… That being said it is funny to think that most parents are extra adamant about kids brushing their teeth this time of year. We all know that not brushing them is definitely not a good idea, but the thought of extra sugar should not be the only reason to get kids to brush! Everyday of the year is just as important as October 31st,in terms of getting our kids to brush their teeth! Honestly a dentist loves helping people feel confident about their smile, and it’s time parents take every opportunity to teach kids about the importance of the health of our teeth! The real nightmare a dentist faces is when we neglect the very thing they have trained so long and hard to protect! So this Halloween be sure to get your kids to brush their teeth! But also save your dentist from a nightmare, and teach them that EVERYDAY is the best day to take care of a smile! We here at Urban Smiles Family Dental love your smile! 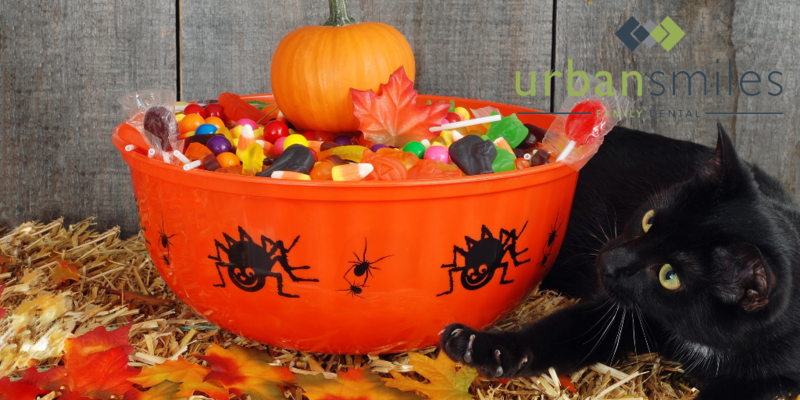 Have a safe and Happy Halloween! Don’t forget to brush!!! Scared of the Dentist? Well this is how you fix that! It is actually one of the most common fears out there, THE DENTIST! We are not really sure why that is, but the fact remains, so it is our job, maybe even our mission, to overcome this! It is time to LOVE the dentist, not just because of how healthy your teeth could be, but because DENTIST OFFICES ARE AWESOME!! Think about it, Dentists know the misconception about them, it is well documented. At Urban Smiles Family Dental we know it as well! And it is because we know this,that we have taken the time to make our office a welcoming place, one that looks great, and one that we have filled with incredibly friendly people! Well if that doesn’t bring some relaxation, I guess it is time for you to start using your imagination the right way! It is the imagination that runs wild if we let it, so instead of letting the dentist chair scare you, think about it as the captain’s seat of your very own spacecraft!… All joking aside, our imagination can get the best of us OR it can help us overcome things we have feared, maybe our entire lives. 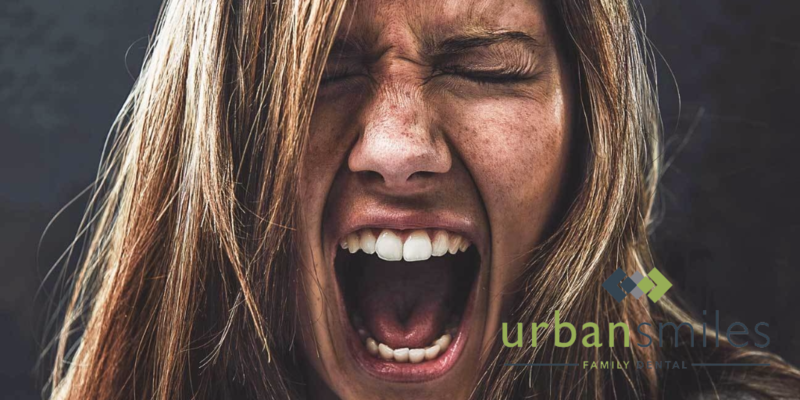 At Urban Smiles Family Dental we are dedicated to overcoming the idea that a dentist office is a scary place, and have taken the steps to make it a beautiful and relaxing atmosphere for you, but help yourself even more and don’t let that imagination run wild with fear, use it to overcome those things, and see that a trip to the dentist, could actually be fun! 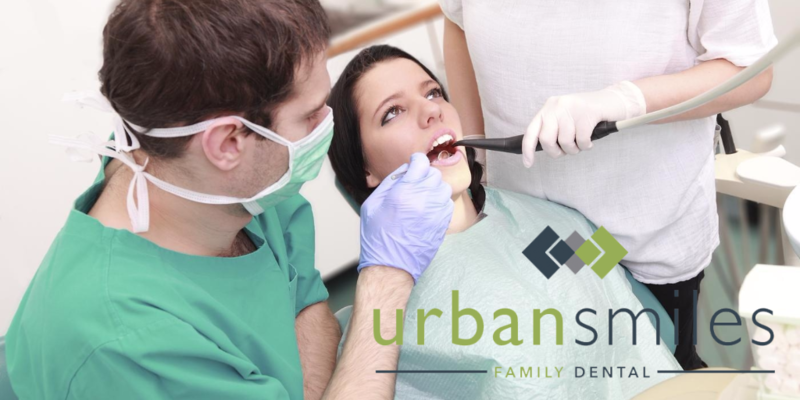 Visit us at Urban Smiles Family Dental in Edmonton, Alberta!